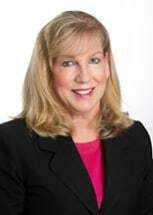 Katherine Young (“Kathi”) joined Buscemi Hallett LLP as a Legal Secretary and Billing Coordinator. She has extensive experience working at large national and international law firms throughout San Diego and brings that wealth of expertise to Buscemi Hallett LLP. Kathi received her Associate’s Degree from Berkeley College in New York and obtained various Legal Assistant Certificates through Mesa College in San Diego.